The story of how Davison got started. In 1986, George Davison, like many idea people, had several new product ideas. One was to prevent toothbrush germs from spreading and getting everyone in his family sick. After spending more than two years and nearly every dime he had trying to bring his idea to life, a major corporation beat him to the market with the same idea. That corporation beat him to the punch because they had a method for building new products quickly and a way to get them to the market. Why didn’t Idea People like Mr. Davison have access to a similar process; an affordable idea-to-product method like the one major corporations used? It was at that moment that Mr. Davison saw a need… and necessity is the mother of invention. He needed everything under one roof to invent his products in a timely, efficient and cost-effective manner. He needed to be able to compete. Mr. Davison dreamed of creating a new method that would benefit future generations of Idea People. It took years of experimentation to figure out the best means to affordably transform ideas into products. He had failures and successes that led him to the best approach. Eventually, he found a method that worked. It took our founder more than two decades to develop A Better Way to Invent® and an invention factory where ideas for inventions are built. This month, our licensing team packed their bags for Chicago to attend the International Home & Housewares show. While at the event, we met with industry leaders, innovators, and entrepreneurs to get a pulse on the industry so we can better assist our clients! This month our film crew began working on new episodes of Dare to Invent, our popular web series showcasing idea people who we helped bring their products to market with our patented 9-step inventing method. Stay tuned! This month, not only did we kick off our 30th-anniversary celebration, we also launched a new website! Inventors from around the globe can now come to Davison.com and have an educational and entertaining inventing experience. 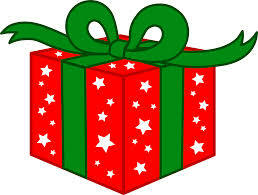 Did you know that Toy’s for Tots is responsible for having donated over 548 million toys to date? Davison employees are helping to increase that number by taking part in Toys for Tots this holiday season! 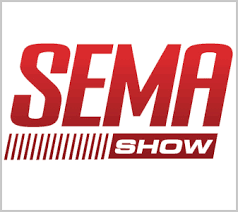 This month our licensing team attended the SEMA/AAPEX show in Las Vegas. While at the show, they met with various industry start-ups, and well established thought leaders. Three new apps designed by Davison are now available for download in the App Store! Check them out today! This past summer our employees took the Davison tagline, “inventors helping inventors” to a new level by launching a company-wide invention competition. The winning team’s idea continued through the Davison process. In the end, the product was licensed! We’ve begun offering companion app services to inventors! Those who wish to have their ideas brought to life alongside a corresponding app can now come to Davison as their one-stop shop. Davison designed products that are now available on Chewy.com! The new PetSmart-backed start-up has added several pet-related products to their online store that have all been designed using the Davison inventing method. We’ve been busy building Apps! This past June, Davison added five new client apps to the App Store. Click here to check them out! 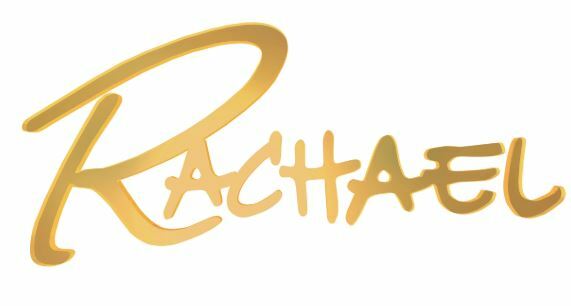 A Davison designed product made its way on to the Rachel Ray Show! The Bottle Top Baster is a corporate invention we worked on a while back, and it caught the eye of Chef Chris Kimball who featured it on the show as a mess-free kitchen gadget. The Davison team attended the 2018 Home + Housewares Show in Chicago this past month. While at the show, our Licensing team met with companies leading the industry in household products. There were even a few Davison designed products featured at the show! 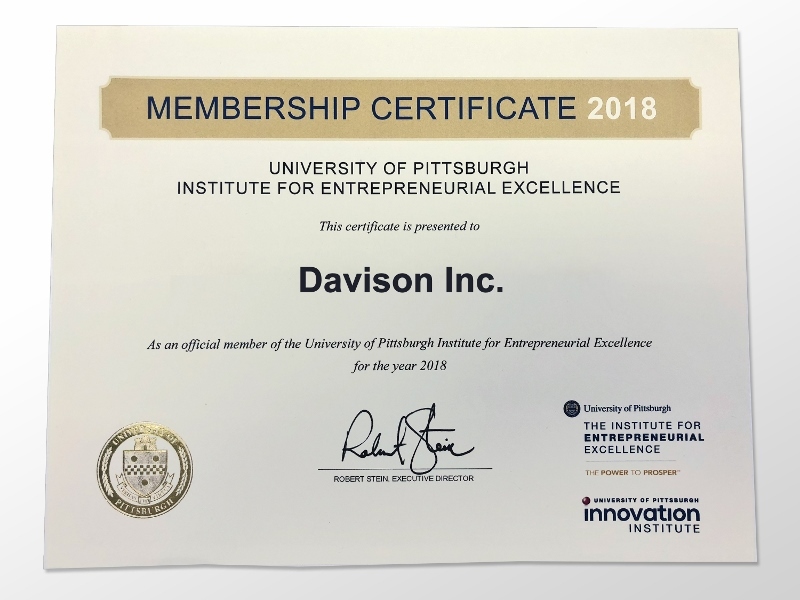 Davison is proud to announce our 2018 membership into the University of Pittsburgh’s Institute for Entrepreneurial Excellence. Davison is starting the New Year off right, maintaining a strong “A” rating from the Better Business Bureau! At Davison, we strive to better our services every day as we gather feedback from clients. We are constantly refining our strategies to make your customer experience simple and easy. A Davison client was featured on Canada’s version of Shark Tank! 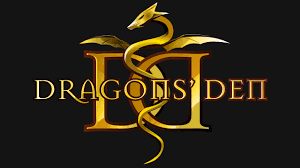 The Dragon’s Den featured The Bottle Toss, a product that a client brought to us when he needed help developing an app. This was the first idea to come through Davison that incorporated both an App and a product idea. 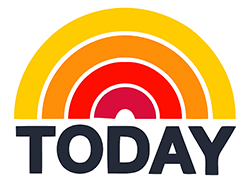 Founder, Mr. George Davison had one of his products featured on The Today Show. The 6 person curved bench was the topic of discussion for show hosts as they displayed how the bench comes in handy at camping trips or sporting events. Check out the segment, here! With our App side of the business taking off, we are happy to announce that a Davison developed App is averaging over 400 downloads a week! 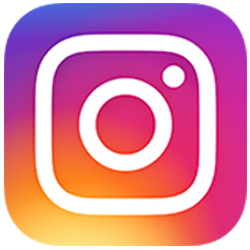 The Photo Hub is continuing to grow in popularity and offering people a better way to share photos! Davison Design and Development was named one of the Top Places to Work in 2017 by the Pittsburgh Post-Gazette, and we just received our actual award! This is a major accomplishment for our team here at Davison and this is certainly an award we will strive to win each year. Thanks to the contributing effort from one of our team members, Davison Design & Development is listed on the City of Pittsburgh Proclamation declaring September 21, 2017, to be “International Day of Peace” in Pittsburgh. Davison is proud to support and be a part of this event. 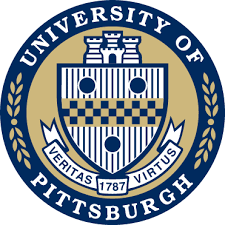 Founder and CEO Mr. George Davison spoke to a group of roughly 40 entrepreneurs and business professionals for the University of Pittsburgh’s Institute for Entrepreneurial Excellence. Being the keynote speaker, Mr. Davison talked about how different types of people fulfill different roles within a company. 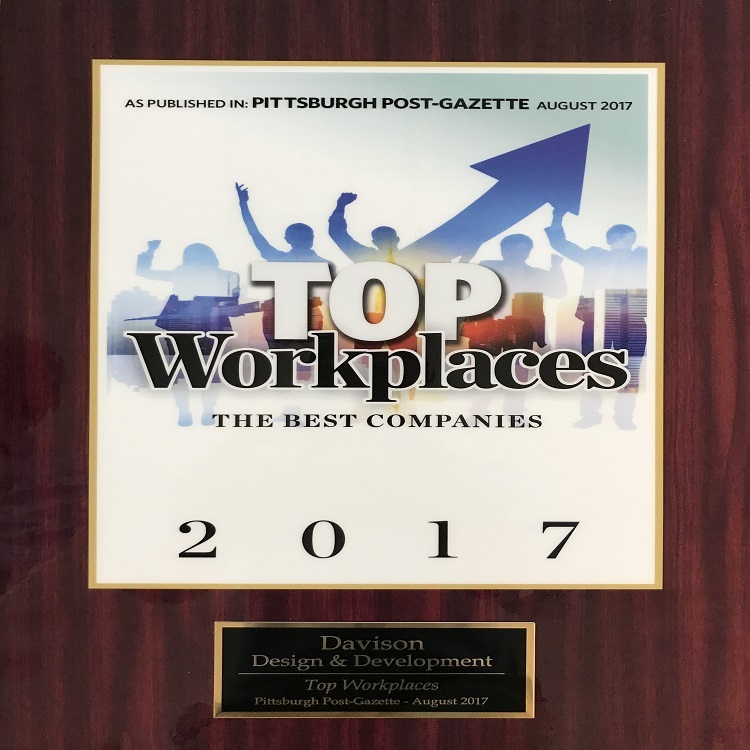 The Pittsburgh Post-Gazette noted that an area-wide employee survey found Davison Design & Development to be one of the top 50 places to work in Pittsburgh! This is a huge compliment to our team here at Davison. We are constantly striving to create a work environment that is both satisfying and beneficial for our employees. Check out the other companies we are lucky enough to share this title with! Davison has entered a client’s product (with their permission) for a chance to be on Steve Harvey’s latest show “Funderdome”. 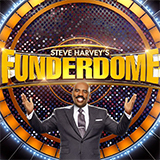 Funderdome is a show where inventors showcase their products to a live studio audience who decide whether or not Steve should fund their idea. Each inventor has a chance to win anywhere between $10,000-$100,000 to help get their product to the next step. App development is continuing to grow here at Davison! Just this past month, we have brought two more Apps to the App Store. The Photo Hub and The Family Album Vault are two of the latest Apps Davison has developed and brought to market for our customers. Check them out in the App Store! We are always looking for new product and App ideas, submit your idea today! The Davison Licensing Department attended the 2017 National Hardware Show this month which was held in Las Vegas, Nevada. Davison is happy to announce that we now have products that were licensed and are being sold on Zulily! For those of you who don’t know, Zulily is an online retailer that sells unique products to consumers from well-known brands across the country. Founder and CEO Mr. Davison has been granted yet another patent to add to his collection! Being his most recent patent, this patent is for a Cooling Pet Chew-toy with Edible Inserts. Davison Design & Development Inc. is proud to have become a member of the U.S Chamber of Commerce for yet another year! App development is taking off! Here at Davison we have been getting in so many new app ideas it’s hard to keep up! Our team has been hard at work developing apps for the Apple iOS. No app idea is impossible; we would like to hear yours! Submit your idea here! Founder George Davison made a visit to The Container Store to see client Jennifer’s invention on store shelves! Jennifer’s unique Hanger Pocket Accessory Organizer was private-labeled by The Container Store after having already found success in versions available through other stores. See it on shelves now! The unique TriSagna Pan, developed using the Davison® Inventing Method, aired twice on QVC in one day! Chef Tony Notaro shared delicious dishes on QVC’s Kitchen Unlimited and In the Kitchen with David. Hosts Carolyn Gracie and David Venable were amazed with all that could be made with this innovative 4-part pan including lifting trays – from baking three types of lasagna at once, to sides and desserts! Read more. Davison kicks off the New Year with positive client feedback. After receiving their Pre-Development Portfolios, see what several clients had to say about their positive product development experience as they worked with our professional team at Davison. Read more. Founder George Davison set out to expand his 9-step inventing method used on all Davison client inventions into an educational innovation course that focuses on project-based learning for students in grades 6-16. Mr. Davison’s courseware became a nominee for the 2017 Edison Awards! In efforts to reach and better serve a community of inventors, Davison went on air with our first ever 30-second television commercial. Watch it now! During the holiday season, founder George Davison contributed to a notable community cause with a special donation to Variety® – the Children’s Charity, which held its annual Anniversary Gala and “My Bike” parade to raise funds to empower children with disabilities. Support of the gala helped provide equipment, including customized adaptive bikes, to children with special needs. Read more! Founder and CEO George Davison joins friends from Inventionland and corporate partner Jokari/US, Inc. at The Container Store’s new Pittsburgh, PA location for an exclusive, invite-only preview party held before the grand opening of the store! It was here that Mr. Davison walked the floor with buyers and saw our products on store shelves, including client products like Jennifer’s Hanger Pockets in The Container Store private-label packaging! Get a sneak peek! Davison clients Ruth and Gary celebrate 12 years of royalties and still counting! This husband and wife inventing duo reached out to Davison 12 years ago for our expertise in preparing and presenting their Twister Bolts and Twister Caps ideas to corporations for licensing. They found success with their product and a dozen years later, they’re still receiving royalty checks every quarter. Read more about their inventing success! Davison client Ingrid’s invention idea reshapes the burger! This Tampa Bay, Florida mom worked with Davison to find a better way to combine two cookout favorites – hot dogs and hamburgers – into one healthier, more grease-free food. Her invention story was even featured in the Tampa Bay Times! The Davison-designed Mega Bacon Pan, evolved from our client Jean’s Meatball Baker idea, aired on QVC’s In the Kitchen with David. QVC host David Venable and Chef Tony Notaro showcased the highlights of this innovative two-part pan that cooks 18 slices of bacon on a diagonal, elevated out of their own grease for perfectly crisp bacon! Read more. Davison client and corporate inventions reach big-brand success, thanks to a PepsiCo North America license held by corporate partner, Jokari/US, Inc. Thanks to this license, Davison products including the client-invented Can Pump and the Bottle Ice, invented by founder and CEO George Davison, were able to align with these big beverage brands. Read more! Innovation drives celebrities to stamp their approval on Davison client products! After several client ideas moved through our product development process, they would later come to be licensed and packaged under big names like celebrity chef Paula Deen, wedding and entertaining expert David Tutera and QVC personality Chef Tony Notaro! 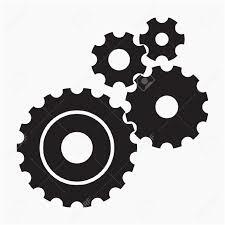 Check out a few of the client inventions. During this month in 1951, the very first commercial TV program was broadcast in color by CBS. Who knew our very own founder and CEO George Davison had a connection to fellow inventor Joe Donahue who helped invent the color TV? Donahue was a key inventor to the color picture tubes that were found in televisions. His impactful words written in a letter to Mr. Davison are a great testament to the Davison® Inventing Method. During National Inventors Month, Founder and CEO George Davison introduced his latest invention to the market – the world’s first Curved Bench! Licensed to Creative Outdoor Distributors, this six-seat curved bench is available through Amazon.com and Overstock.com. Read more! Davison client Bobby’s PushPan Brownie Pan was featured on the popular QVC segment, “Kitchen Unlimited with Carolyn.” QVC hosts Marie Louise Ludwig and Carolyn Gracie had nothing but positive things to say as they demonstrated the innovative product on air! Thanks to the help of our development services, clients are now able to bring their app ideas to life! Now, idea people everywhere can safely submit their tangible invention ideas and their mobile app ideas as well! Eddie Porter did just that and had his idea turned into the functional Coach’s Whiteboard iPad app! Our client inventions that were licensed to our friends at Hugs Pet Products were on display at the pet industry’s largest annual trade show, the Global Pet Expo. At the event, Hugs Pet Products featured their Paula Deen Premium Select Pet Food, their brand-new line of Massaging Groomers and their recently-unveiled Realtree Dog Treats! Davison-designed products were on display at the Love Cooking Company and Jokari booths during the International Home + Housewares Show in Chicago! At the event, client products, like the innovative Hanger Pockets and Chef Tony’s bacon products that were inspired by our client Jean’s Meatball Baker, were front and center! The Davison-licensed Hugs Pet Products’ Massaging Groomers Tools hit the market after their big debut at the 2015 SuperZoo, The National Show for Pet Retailers! It took a lot of hard work and creativity, but brush by brush these innovative products came to fruition and are available for purchase! Two of our Managing Senior Directors, Matt and Robert, made their way to the National Shooting Sports Foundation’s Shooting, Hunting and Outdoor Trade Show and Conference (SHOT Show) in February. While at the trade show, this Davison duo was able to promote Davison’s outdoor innovations and get a behind-the-scenes look at industry trends! New Year, new chances to leave the Davison mark at trade shows! Managing Senior Directors Matt and Robert made the cross-country trek to Las Vegas to attend the annual Consumer Technology Association’s International Consumer Electronics Show (CES). While at the show, this Davison duo was able to create new connections, nurture existing business relationships and see where the latest technology trends were heading. As we prepare to head into 2016, we continue to open the doors to our creative design facility to inspire the innovators of tomorrow. Their passion is an instant reminder of why it is so important to stay positive when you’re pursuing your dreams. Here’s to a successful 2016! The Piñata Nonstick Cupcake Pan, also known as the Mrs. Fields Bake N Stuff Cupcake Pan, which debuted on QVC in September, is now listed as one of network’s Best Sellers! We can’t get enough of that great feedback about our new product designs! Our Mrs. Fields Bake N Stuff Cupcake Pan was featured on QVC’s “In the Kitchen with Carolyn” as the Piñata Nonstick Cupcake Pan. Longtime QVC kitchen product specialist Marie Louise Ludwig said “It takes basic cupcakes and turns them into something phenomenal!” We couldn’t agree more! As a company, we travel to the home of one of the world’s most iconic inventors – Henry Ford! We visited the Henry Ford Museum and Greenfield Village. What an incredible day full of innovation! We’re excited to announce that packaging we designed is now featured on Paula Deen’s personal website! Deen recently teamed up with our friends at Hugs Pet Products to launch her own brand of dog food and we were charged with creating the packaging! Our Licensing team attends SuperZoo 2015 in Las Vegas. The national show for pet retailers featured some of the latest pet products and packaging designs. Among some of the highlighted products was our client, Diana’s invention idea, the Chillz Comfort Cooling Gel Pet Pad! A Davison-designed product was not only for sale on store shelves at Bed Bath & Beyond, but it was also featured in their marketing materials. To be a part of this inventor’s journey has been a great honor! The Davison-designed Chef Tony Bacon Baker that is licensed to our friends at the Love Cooking Company was featured front and center on NBC’s TODAY Show! Once again, our Better Way to Invent has turned another idea into a product… a product that now has been seen by millions of viewers! Even America’s favorite TV weatherman, Al Roker, referenced the “better way” the pan works! Thanks to Fox & Friends, our client Diane’s Hydro Bone, along with a couple other Hydro line items, was featured on national TV as a life-saving solution for helping pets beat summer heat! Celebrity vet Dr. Carol Osborne led a pup into a pool where the Hydro Fetch and Hydro Ring were floating alongside the Arctic Freeze Ball and Arctic Freeze Bone! Davison-designed products that are licensed with Hugs Pet Products were on display at the pet industry’s largest annual trade show, the Global Pet Expo. The Chillz Mat and the Silicone Dog Treat Pan, which are both client inventions, were in the lime light at the Hugs Pet Products booth. This exciting event took place from March 4-7 in Orlando, FL. 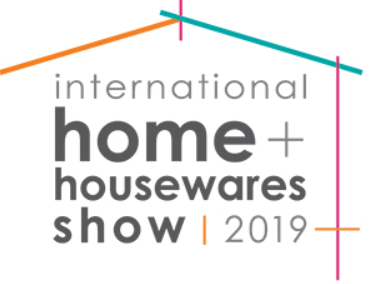 This year’s International Home + Housewares Show was quite the success! 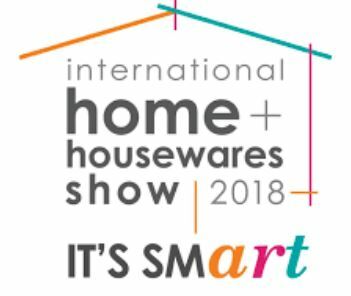 Not only did Culinary Professional Chef Tony Notaro and Love Cooking Company representatives show off their innovative products, two Jokari products, the Scrub Gator and Petal Clips, were International Housewares Association (IHA) Innovation Award finalists! It’s an honor to be one of the sponsors of the Veterans Breakfast Club’s event, “Their Stories, Our History” at the Senator John Heinz History Center in Pittsburgh. This April event celebrates the opening of the Veterans Breakfast Club’s new Western Pennsylvania Veterans Archive at the center. Chef Tony and the Miracle Meatloaf Pan appeared on QVC’s “In the Kitchen with David” for the second time already this year! Satisfied QVC shoppers have had great “stuff” to say about this Davison-designed invention, which is fueling its four-star rating on QVC.com! The Davison-designed Jokari Soda Straws are now available on Walmart.com! This innovative product is the perfect solution to help keep favorite sodas or other carbonated beverages fresh. With a flip-top cap, the Soda Straws also help prevent spills! The inventor of the Chilly Mat, Diana Edington, was featured in an article that was published in “The Banner,” a Carthage, Indiana, newspaper. The article featured their hometown-inventing hero and her invention, the Chilly Mat, which helps pets stay comfortable and cool whether they are indoors or out. The Chilly Mat, Chilly Vest and Pugz Boots for Dogs were all featured on Coupaw.com. This site promises to tell people about “the best pet services and retailers” and they did just that when they featured three of our Davison-designed products. Not to mention, the Chilly Mat was a featured deal in the Coupaw.com “Dog Deals for Winter Vacay” email. Tickets for Kids Charities (TFK) celebrated their 20-year benchmark when they threw an incredible “Imagine Nation Ungala” at none other than Inventionland! Over 200 guests filled our creative workspace in support of the regional charity that helps to fill seats at Pittsburgh’s many shows, games and other events by providing tickets for children and families who may not be able to afford admission costs. It’s been decided! The Davison-designed Hanger Pockets have some serious Tex Appeal! The Hanger Pockets were featured in the September 2014 issue of “Tex Appeal,” a Central Texas life and style magazine. At the forefront of this article was the product story of the Hanger Pockets’ inventor and even our founder and CEO Mr. Davison contributed to the story, too! On her popular blog, Pittsburgh-area mommy blogger Dana Vento takes a taste of the Brookie Pan that we designed at Inventionland. Deeming the pan “amazing and five-star divine,” Vento says she even uses the pan’s delicious part-cookie-part-brownie creations to encourage her kids to join the family’s “clean plate club” during meals! This month, we learn that a community project near and dear to our hearts is set to get underway! As Chairman of a local business alliance, Mr. Davison proposed a trail system that would wind through the business park that houses both Davison and our creative workspace, Inventionland. Soon, all business park employees will be able to safely walk, run or relax along the new trail. Our founder and CEO, George Davison, appears during premiere week on the nationally-syndicated, Emmy-awarding winning Steve Harvey show! Mr. Davison serves as an expert guest judge for Harvey’s “Pitch to Win” inventing contest and awards the winner with a $10,000 check from Inventionland! Now, Mr. Davison’s inventing advice lives on under “Expert Tips” on the Steve Harvey show website! Having a product we designed be featured in one of ThinkGeek.com’s entertaining videos last year was awesome; now, that video on the Whack-a-Mouse pet toy has received over 180,000 YouTube views. The product ranks high on a YouTube search and has sold so well it is currently out of stock on ThinkGeek.com! The Whack-a-Mouse cat toy and Sticks Throwing Dog Treats that we designed for Hugs Pet Products are featured as Coupaw.com deals. According to the pet-and-owner-friendly website, they offer limited-time deals on “some of the best pet services and retailers” they can find! One of our clients took her product development story to her local NBC affiliate station in Florida. She came up with her potentially life-saving “Sound of Life” car alarm system to set off a car alarm whenever the car engine is off, the doors are locked and a child is still sitting inside. After touring through Inventionland, the popular Arabic TV show “Khawatir” features our design facility in an episode about creative solutions. Since the Saudi Arabian show has aired, it has been viewed over one million times world-wide on YouTube. For the second time this year, the Miracle Meatloaf Pan airs on QVC’s “In the Kitchen with David.” This time it sells over 7,000 products! Additionally, happy customers from far and wide offered great testimonials about the innovative Davison-designed bakeware product on QVC.com! This month, Shopko, a Midwest retailer with over 330 locations began selling Davison-designed products. Shopko is now part of the list of over 1,200 stores and online retailers who have sold or are selling our new products and packaging solutions. Two of our Davison-designed products, the Hanger Pockets and the Hanger Links were both recently licensed by the Jokari Company. Additionally, both products also found a “home” on the Jokari website’s homepage! The Clip & Drain that we designed at Inventionland was featured in the New York Times “Home & Garden” section in an article titled, “Meet Me in Chicago!” In this article, the writer describes how he appreciates the simplicity and convenience of the Clip & Drain when using it in his own kitchen. The revolutionary Jade No-Burn Pan that we designed at our creative workspace, Inventionland, debuts on QVC’s “In the Kitchen with David.” Culinary Professional Chef Tony Notaro serves as the product’s spokesman, showcasing the range of the seven-in-one pan’s cooking capabilities. March was a busy month for our Licensing Department. Our products were showcased at both the Global Pet Expo in Orlando, Florida, and the International Home + Housewares Show in Chicago, Illinois. In fact, some products that were designed at Inventionland were nominated for International Housewares Association Innovation Awards! 2014 is already shaping up to be a great year for Davison products! This month, we opened the doors of Inventionland to more than 400 guests to support the Children’s Hospital of Pittsburgh Foundation’s Family Life Auxiliary, A Sweet Gesture 2014: A Night in Venice that was presented by Direct Energy. This event was held in order to raise funds that provide education, support and activities to help families cope while their children are in the hospital. 2014 starts off with an incredible bang! 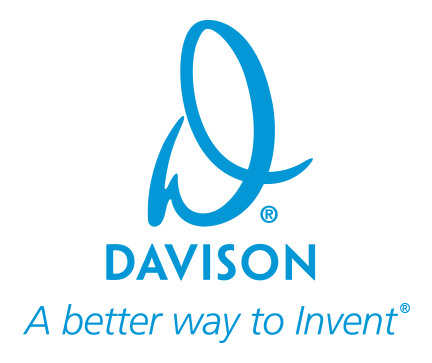 We are happy to announce that during this, our 25th year in the invention industry, 1,200 stores and online retailers have carried Davison-designed products and packaging solutions! Walmart was first on that list, but we’ve since added many other big-name retailers, along with niche stores and online outlets. Closing out the month on a very high note, the Miracle Loaf Stuffed Meatloaf Pan that we designed for one of our clients is featured on QVC’s “In the Kitchen with David” and it sells out in less than 10 minutes! The pan, which allows users to add mashed potatoes, stuffing, macaroni and cheese or any other preferred filling to meatloaf, was licensed by the Love Cooking Company and continues to impress chefs who are looking for the perfect all-in-one, meal-making product. 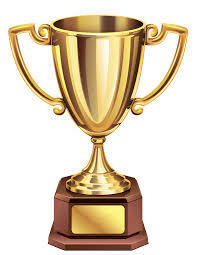 The Small Business Community Association gives Davison the 2013 Best of Business Award for Pittsburgh! The award, which recognizes “small business owners who make a difference in their respective communities,” is given to less than 1% of business owners in the United States. HomeWorld Business Magazine features five different Davison-designed products that were licensed by Love Cooking Company. The “leading business-to-business publication for the housewares industry” showcases the Cupcake Cone Pan, Scoop N Cut Cookie Tool, Cool Bake, Half N Half Cupcake/Muffin Pan and Baker’s Sto ‘n Go, which are all a part of Love’s Mrs. Fields line. We are excited to announce that AWAY Bug Repellents, a company that we’ve designed products and packaging for, has been named the official bug repellent of Kampgrounds of America (KOA Kampgrounds)! This means the AWAY brand will be linked to all of KOA’s 485 Kampground locations around the country. The Davison-designed Mrs. Fields Cool Bake and Half N Half Cupcake Pan are featured on the Emily’s Frugal Tips blog, where writers test the products and say, “Both pans are awesome and not once did I use any baking or cooking sprays.” Among 4,000 total entries, one lucky reader wins both products! The Cool Bake, an innovative cookie sheet/cooling rack combination that we designed for our client, Michael, is featured on QVC’s “In the Kitchen with David.” The pan, which was licensed by Love Cooking Company, gets immediate rave reviews by consumers who quickly purchase the product. The client has not received a net profit on the product. Pet Product News International names the Hugs Care line, an innovative line of pet care products that we designed, as a 2013 Editors’ Choice Award winner! The line includes Anti-Itch Treatment, Ear Rinse, First Aid & Wound Care and Liquid Bandage and was selected over 500 other innovative new products. Mr. Davison, our founder and CEO, is heard across the nation, as part of a multi-state radio tour. Mr. D shares his Better Way to Invent and personal inventing story with audiences in Atlanta, Columbus, Chicago, St. Louis, Dallas and Sioux Falls. The Industrial Designers Society of America (IDSA) recognizes the Davison-designed Surprise Pan as a 2012 Industrial Design Excellence Awards (IDEA) finalist. This is our fourth product that has been recognized by the IDSA. The Bikeboard, Hover Creeper and Oil Filter Gripper are all Davison-designed IDEA winners, too. FOX 29’s “Good Day Philadelphia” features the Hydro Bone, a hydrating chew toy that we designed for our client, Diane. The invention, which was licensed by Hugs Pet Products, appears as part of the show’s FOX Fursday “Keeping Your Pets Cool” segment. Our Sales and Licensing departments team up again at the 2013 National Hardware Show in Las Vegas. In an on-going effort to put more client products in stores, our team talks with several company executives, including representatives from the DIY Network. Not only do we learn that three Davison-designed pet inventions are scheduled to appear on the DIY Network’s “I Want That,” the Auto Dish actually does! The show, which provides “in-depth profiles and highlights” of various household products, will also feature the Chilly Mat and Silicone Dog Treat Pan this season. This month, we announce our Florida office is open and thriving! Expanding our visibility and geographical reach to South Florida enables us to work more closely with inventors in new markets. Six new Davison-designed Cat Toys are seen on PETCO store shelves! Previously licensed by Hugs Pet Products, the Wobble Ball, Mouse Trap, Teeter Rocker, Wibble Wobble, Whack-A-Mouse and Purr-Fect Ball appear on the shelves of the leading pet specialty retailer. With the addition of Hugs Pet Products’ Jaws and Cat Toys lines, our company reaches an incredible milestone with 18 different Davison-designed products on Petco store shelves. “It’s a dream come true in a lot of ways,” says our Founder and CEO, George Davison. Mr. Davison helps to predict the future in Popular Mechanics’ 110th anniversary special! In their “The World of Tomorrow” article, the magazine turns to Mr. Davison and other scientists, engineers and consultants – their “Brain Trust” – to boldly make 110 predictions for the next 110 years. At Inventionland, we host Children’s Hospital of Pittsburgh’s “A Sweet Gesture” fundraising event on Valentine’s Day. The Willy Wonka-themed night raises nearly $56,000 for the hospital’s Family Life Auxiliary foundation. Mr. Davison’s “Idea Teacher” curriculum is incorporated into three Suffolk University classes for the spring 2013 semester. The inventing content “trial run,” which includes Mr. Davison’s 9-step method, may lead to future courses devoted to inventing! Our licensing team is back at it in Las Vegas at the 2013 Consumer’s Electronic Show, where over 3,250 exhibitors unveiled about 20,000 new products! On a mission to find a strategic partner, our team meets with contacts from Curtis International, Uninex, Skyline International, Fellowes, ESI Cases, Headcases, Technocel and Gibson Guitars. Mr. Davison appears on Lifetime TV’s “The Balancing Act” to tell two more of our clients’ stories. Showcasing “Dare to Invent” webisodes for Christine and her Brownie Bowl, along with Gary and Ruth and their Twister Caps and Twister Bolts, Mr. Davison explains how Davison’s Better Way to Invent worked for them – and many other everyday idea people. Pugz Shoes, which we designed for our client, Kay, are featured on the professional blog of K-Earth Radio host Lisa Stanley. They also make PetSugar’s “Best Luxury Pet Products” holiday gift list. It is always a treat to see these cozy shoes walking into more publicity! George Davison and Jean Rindfus (as part of her Dare to Invent episode) appear on Lifetime’s The Balancing Act. The tasty segment airs twice. Before showing the appetizing webisode, Mr. Davison discusses Davison’s Better Way to Invent and how it worked for Jean Rindfuss and her Meatball Baker. Davison is excited to announce that we’re expanding our social media outreach. We successfully launch our very first Pinterest contest ” a Meatball Baker giveaway ” in conjunction with our most recent appearance on Lifetime TV’s “The Balancing Act.” After many re-pins, we give Meatball Bakers to two lucky followers! A defining moment in company history, the entire fall 2012 Hugs Pet Products Pugz line arrives at Petco! The line, which we helped design, includes leashes, beds, coats, leg warmers, harnesses and boots; and it’s prominently displayed on Petco’s end caps. Mr. Davison appears again on Lifetime’s “The Balancing Act,” this time featuring our inventors, Sharon, and her Cool Cot House, along with Julian, and his Best Stink Bug Trap Ever, as part of their Dare to Invent webisodes (The client has not realized a net profit on this product). We expand our social media presence, launching Pinterest and Google+ pages. Pinterest allows us to share all things inventing on our pinboard and Google+ allows us to chat with our followers in circles or groups, so we can better meet their inventing needs. Our Licensing VP teams up with the Hugs Pet Products marketing team at the 2012 SuperZoo pet industry trade show in Las Vegas. At the show, Hugs debuts several new Davison designs, including the Jaws collection, a dynamic new chew toy line! Davison products burn up the blogosphere. TheraPED once again earns rave reviews from the One Bored Mommy blog; 6-in-1 Manicure Multitool has “got everything you want,” according to Hello Dollface blogger; The Clip & Drain replaces colanders for the writer of Sugar Pop Ribbons, The Neat Things in Life blog gets cooking with the Silicone Dog Treat Pan; and AWAY is celebrated by holistic health guru The Savvy Sister. Davison is featured in an article in the summer edition of Soul Pitt Quarterly, Pittsburgh’s Premier Minority A&E Magazine. In the piece, Soul Pitt’s writer (Mimi Gray) speaks with CEO and Founder George Davison, President Frank Vescio, Senior Director of New Products Steve Smith and Director of New Products Hassan Walker and picks their brains about what it takes to be an inventor and to work at Davison. “Dare to Invent” airs the twelfth and thirteenth (season finale) episode in our 13-episode webisode series. The first features Christine Walker, inventor of the Brownie Bowl – a delicious dessert solution that enables bakers and chefs to create fill-able brownie, cookie, cake, and bread bowls. 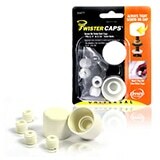 Our 1st season final episode treats viewers to Gary and Ruth Frazer, inventors of the Twister Bolts and Twister Caps. Congratulations to all inventors, Creationeers and production staff, who made such a great series possible. George Davison is featured on another episode of Lifetime’s “The Balancing Act,” America’s premier one-hour women’s morning show dedicated to creating trusted solutions for today’s woman. Mr. Davison joins host Kristy Villa to field questions both before and after Lifetime airs Diane DiRaimo’s (Hydro Bone) episode of “Dare to Invent” – the webisode series that explores what can happen when everyday people with ideas take the leap of faith. Mr. D is featured on Lifetime’s “The Balancing Act,” America’s premier one-hour women’s morning show dedicated to creating trusted solutions for today’s woman. Mr. D joins host Danielle Knox to field questions both before and after Lifetime airs Joy Clymer’s (Party on the Go) episode of “Dare to Invent” – the webisode series that explores what can happen when everyday people with ideas take the leap of faith. Davison is nominated for a Small Business Community Association (SBCA) 2012 Best of Business Award for Pittsburgh! According to the SBCA, the Best of Business Awards are designed to empower and recognize businesses that make a difference in their communities. Continuing a school tradition, Mr. Davison speaks to students at his high school alma mater, The Kiski School in Saltsburg, Pa. The day-long event includes three sessions, where Mr. Davison enlightens young minds on what it is like to be an entrepreneur. Two more innovative “Dare to Invent” webisodes premiere on YouTube and at Davison.com. This month, we’re getting sporty and things are getting mighty tasty! We feature John, inventor of the BikeBoard, and Jean, inventor of the Meatball Baker! We present our TheraPED inventor, Lennell, with her very first royalty check at a surprise party for her family and friends in her hometown, St. Louis! Mr. Davison and our production crew get some great photos and video footage under the city’s famous Arch for an upcoming “Dare to Invent” episode! Our Licensing Team has been hard at work on the road at several industry trade shows. First, they meet with retailers at the Global Pet Expo in Orlando, then head to Chicago for the International Home and Housewares Show. After that, our VP of Business Development and Licensing meets with the Mrs. Fields, Walmart and Warner Brothers companies! The TheraPED, a spa-therapy product that we designed for our client, Lennell, continues to receive rave reviews from Zumba and yoga instructors across the nation. This month, we also make a surprise visit to deliver some “royal” news to Lennell. Our “Dare to Invent” YouTube and Davison.com webisode series continues! This month, we feature Joseph, inventor of the Silicone Dessert Bar Pan, and Ed, inventor of the Better Tether! Our creative design facility, Inventionland, makes international headlines when it is featured on the popular German TV show, “Galileo!” In the segment, the host tours through “America’s Largest Invention Factory,” having a blast with our vibrant cast of creationeers, designers and builders! We launch our innovative “Dare to Invent” webisode series! The 12-episode series showcases our clients and their inventions, from product inception to licensing… and beyond! This month, Joy, inventor of the Party on the Go, and Kay, inventor of Pugz Shoes, are showcased during the webisodes, which appear on YouTube and at Davison.com! We hear from two international retailers that some of our innovative pet products are to launch overseas! According to representatives from Hugs Pet Products, who licensed the Hydro Family, a company in the United Kingdom and Walmart Canada place orders for thousands of Hydro Family products! After the History Channel’s December 2011 “Inventionland” reality TV show special, which was promoted high above the strip in Las Vegas and in NYC’s Times Square, our creative workspace also appears in the Wall Street Journal! The article, called “Workplace Wonderland” showcases several awesome photographs of Inventionland and is reposted by the United Inventors Association of America and Yahoo! Finance. Davison’s Meatball Baker, a client product that was licensed by Xtraordinary Home Products, is selling in Avon magazine! Just after the magazine comes out, the Meatball Baker is featured on Good Morning America’s “Secret Steals and Deals” website. “The press can talk about my pan all they want,” said the Meatball Baker’s inventor, our client, Jean. 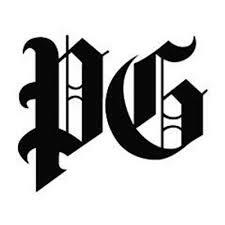 Pittsburgh, Pennsylvania, home to both our corporate headquarters and our creative design facility, is named on The Washington Post’s list of “In” things for 2012! 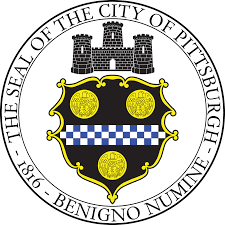 Referencing The Washington Post article, another article “Pittsburgh PA.: Entertainment Capital of the World?” gives a glimpse of what makes the city so special, including the History Channel’s “Inventionland” special! Davison-designed Pugz Shoes for Dogs, a client invention that was licensed by Hugs Pet Products, are making quite the impression on the market! Selling nationwide at Bed Bath & Beyond and Meijer.com, the faux fur and faux leather shoes are featured in both retailers’ advertised holiday deals – not to mention various YouTube videos, which show adorable pets trying out their shoes for the first time! Davison is recognized in an allbusiness.com article for past participation in a local radio fundraising event to benefit the Marine Toys for Tots Foundation. This year, Davison makes another significant contribution to the Toys for Tots Foundation, helping a local chapter surpass previous years’ donations. Mr. Davison and creationeers from Davison’s creative design facility, Inventionland, are featured in the History Channel’s “Inventionland.” The reality TV special, set in the Pittsburgh design facility, follows three hopeful Davison clients as they pursue their invention ideas. Our Original Perfect Pizza Pan is tested and rated by an Ingredient Magazine reader. The magazine features the pan with the results: “it’s fun for the whole family!” The pan, which allows users to customize every slice, was invented by a former client, who is now our company President! We welcome Kay, inventor of Pugz Shoes for Dogs, to Inventionland, our creative design facility. Her visit marks the same month that Pugz Tennis Shoes hit the market. Currently, Pugz are available at hugspetproducts.com, Bed Bath and Beyond and Amazon.com. After being featured on numerous blogs, like Dashing for Deals and The Jolly Blogger and in TOMI magazine, the Davison-designed, client-inspired TheraPED that was licensed by Health Enterprises is to be included in gift bags given to performers at the 45th Annual Country Music Association Awards! Our licensing team hits the road for the first trade show of the fall season – at “The Pet Industry’s Hot Spot,” SuperZoo in Las Vegas! With Hugs Pet Products, many Davison designs are showcased to nationwide retailers like PETCO, Bed Bath & Beyond and others! Inventionland, Mr. Davison and our client, Jean, who invented the Meatball Baker, are featured on CBS’ “The Early Show!” Once the segment airs, it appears on many online sites, like CNET, Yahoo! News, Twitter, YouTube, TV.com, various CBS affiliates and blogs! Davison-designed products and packaging solutions have now sold in over 1,000 stores! Helping us reach this milestone, big-name stores, including Ross and Shop NBC, add the Davison “D” to their shelves. Internally, we mark the milestone with an employee celebration at Inventionland! Two products we created for clients that were licensed by Hugs Pet Products win Retailers’ Top Pick Awards! The Silicone Dog Treat Pan is a top vote-getter and the Better Tether is the third-highest vote-getter in the competition sponsored by Pet Product News International! CVS picks up the 6-in-1 Manicure Multitool, a product we created for our client Cathalene and that was licensed by Health Enterprises! Look for the product under the “Portables, by Essence of Beauty” brand name on CVS store shelves! The Executive Director of the Grable Foundation visits Inventionland and commends us for “igniting the spark of creativity” that is so important to the mission of Kidsburgh, a collaborative effort to make Pittsburgh the best place for kids on the planet! Walmart.com picks up the Helping Hand Car Cleaning Kit with Bucket Bench that we designed for Faucet Queen. The all-in-one kit includes and keeps handy the necessary car washing tools and provides a place for users to sit while cleaning and detailing a vehicle. Inventionland is featured on NBC’s “Daily Connection.” Thanks to the news program, “the world’s most creative workplace” is in the homes of families in many major TV markets, including New York City. Davison’s President and the VP of Licensing attend the National Association of Chain Drug Stores Marketplace in Boston, where seven new products that we designed for Health Enterprises are featured for more than 230 retail company representatives to see. The Freshtainer, a Davison-designed product for XHP, is on the market and appearing in 988 Ross Dress for Less® locations nationwide. By enabling airflow into the container, the Freshtainer helps keep produce fresh for much longer than standard containers. Mr. Davison attends William Penn Elementary School’s Invention Convention and meets with some enterprising young inventors who designed innovative, new products to enhance everyday life. The convention, which was featured on a local media blog, was sparked by an earlier visit the students had made to America’s Largest Invention Factory, Davison’s Inventionland. A recent Inventionland visit by a group of North Allegheny High School students hits the press! The North Journal, a Trib Total Media newspaper, posts several photos from the visit in their daily publication, plus an entire slideshow of images online! Davison’s President and the VP of Licensing make the most of the opportunity to network with corporations as they unveil exciting new products at the 2011 National Hardware Show in Las Vegas. Drillcraft Tools Corporation receives good feedback on new tools that we developed and licensed to the company. More details are to be unveiled in the coming months. Mr. Davison returns to his high school alma mater, The Kiski School, a private 9-12 school. It is the oldest remaining non-military, all-male boarding school in the United States, and 100% of graduates go on to a 4-year college or university. Mr. Davison is invited to speak to the senior class to give them some guidance on deciding on a career path. All the students are impressed by what their predecessor has done with his entrepreneurial skills. We never get tired of seeing it – the Dog Wash is featured in the latest In the Company of Dogs catalog. The summer preview issue shows the Dog Wash as modeled by a very content Labrador Retriever, and the caption, “Bath time made easy,” says it all! More Davison-designed products have hit the big screen! Several innovative Hugs Pet Products are featured on Welcome Home, the Time Warner Home Network’s #1 show for home and family! Already hugely successful at the 2011 Global Pet Expo in Orlando this March, Hugs President, Katie, shows off the Dog Wash, Better Tether and all three hydrating chew toys in the Hydros line – the Hydro Bone, Hydro Ball and Hydro Saucer! The Fill N’ Grill stuffed burger maker, which we created for Xtraordinary Home Products, makes its debut on QVC and is a huge success! Fitness guru Chris Freytag presents the product on “In the Kitchen with David,” and all units ordered are sold in just three minutes! In addition, more than 2,000 sign up on a waiting list for the innovative product. The Better Tether, which started out as just an idea in the mind of our client, Ed, is now in production. The product offers a more humane and convenient way to tether a dog outdoors – it provides a constant source of food and water that cannot be spilled, and it never has to be moved for the lawnmower! The product had a great showing at the Global Pet Expo in March, and it will be on store shelves by June! The Air-Rack, the first product we created for New Product Kingdom, has expanded into Canada! The inflatable heavy-duty roof rack makes its debut on the shelves of TIM-BR Mart, Canada’s largest dealer owned building materials buying group. Congratulations to all who worked on this innovative product! The Bread-It “Ultimate Breading Station” that we created for Xtraordinary Home Products, makes its debut on QVC. The innovative kitchen product, which keeps all breading ingredients (egg, flour, bread crumbs) neat and organized, is presented by Mary Louise Kier on the popular “In the Kitchen with David” show. Numerous retail outlets have added Davison designs to their inventory, bringing the total number of stores that have sold Davison-designed products and packaging solutions to an astonishing 900! Newer and older Davison designs continue to be picked up by specialized niche market online sites, as well as established brick and mortar retailers. HomeWorld Business magazine features a full-page article on new bakeware options, including the Surprise Filled Dessert Pan, created by our corporate team, and two client products – the Silicone Dessert Bar Pan and the Perfect Portion Petite Dessert Pan. With great products like these, it’s no wonder the editors took notice! The Sweetheart Silicone Dessert Pan and the Easter Egg Silicone Dessert Pan are now on the market. The Sweetheart Pan, which makes heart-shaped treats, is in the stores just in time for Valentine’s Day! Both pans have joined the original Silicone Dessert Bar Pan, invented by our client, in Hobby Lobby, A.C. Moore, and Montgomery Ward. Davison presents its “What Will You Create?” award to an inventive team of students from Gateway High School for its “Gator Vendomator” machine, which they entered in the Chain Reaction Contraption competition at Carnegie Science Center. The contraption made change for a dollar bill in 22 steps using a series of levers. Several Davison-designed products are on display at the 2011 Craft & Hobby Association Winter Convention & Trade Show, the world’s largest professional craft and hobby show. The products, which we created for Prym, Darice and Fons & Porter, include the Twirl-A-Ring, Travel Folding Stitcher’s Tools, and many more. The Cool Cot House, which we developed for Hugs and our client, is featured in Real Simple, a monthly women’s interest magazine. The product is in “Daily Finds” as one of 7 warm-weather pet products recommended by the magazine, which is all about “making life easier, every day. Our “world’s most creative workplace” goes international again! Polish magazine “Focus-Coaching” recognizes Inventionland and Mr. Davison in their “Boss in a Tree” article. The Hydro Bone line of hydrating chew toys that we created for Hugs Pet Products is featured on Good Morning America! The line is one of two new toys chosen by Dr. Marty Becker, “America’s Veterinarian,” for his top picks for Best New Pet Products for 2011! The Twirl-a-Ring, which we created for Darice, has hit the market and is selling in Pat Catan’s, as well as several independent craft stores. The multi-gauge mandrel, which can make three sizes of jump rings, is also on its way to the Crafts & Hobby Association show. The Healthy Steps Pasta Baskets, which we conceived in collaboration with Jokari, is featured on Kitchen Critic, a British site about “anything and everything you’ll want for your kitchen.” The writer describes the product as “a great tool for pasta lovers” that will “ensure you know exactly what you are eating” to help with counting calories. The Silicone Dessert Bar Pan, a client product, has a great showing on QVC and gets fantastic consumer reviews at major retailers, such as Bed Bath & Beyond. Versions of the bakeware for holiday-themed treats are also in the works! The pan is picked up by other major retailers and is also named Davison Product of the Year. Numerous retail outlets have added Davison designs to their inventory, and by December, the total number of stores that have sold Davison-designed products and packaging solutions tops an astounding 800!! The Bread-It Ultimate Breading Station that we created for XHP is featured in the latest edition of HomeWorld Business magazine! The innovative item, which keeps breading ingredients neat and organized, is also headed to the marketplace and for a big QVC debut! Several products in the new Swingers by Swing Away line of kitchen utensils that we created for XHP are already on the store shelves at Keystone Housewares, as well as in a test at select Bed Bath & Beyond stores! The folding utensils open and close via a hidden locking mechanism, thereby taking up less storage space. The Chew Core plaque removing toy that we created for Hugs Pet Products is featured in the 2010 Holiday Gift Guide of PetMD, the largest global source of pet health information. The product, which safely satisfies a dog’s desire to chew, is one of 30 “top holiday pet toys and products” this holiday season! All 17 products we created for Jokari’s Healthy Steps line are now on the market! The innovative kitchen utensils, which include serving, preparation and portioning tools, are designed to help control portion sizes and make preparing wholesome foods at home easier, thereby helping individuals to eat healthier and live a lifestyle of wellness. Inventionland garners worldwide attention on dozens of blogs that showcase awesome office spaces and tech news, including Office Snapshots and This Aint No Disco. Bloggers around the world continue to pick up the story and also translate it into other languages. The Surprise Filled Dessert Pan, which we created for XHP, is launched over the airwaves on “Cooking on Q Day,” QVC’s biggest cooking event of the year! Several thousand units are sold in the first few minutes of the presentation during “In the Kitchen with David,” which shows all the scrumptious delights that can be baked muffin / cupcake pan. Test infomercials of the Davison-designed Never Night, an advanced lighting system, run on several networks: History Channel, History International, Hallmark, Discovery, Military Discovery, Science and Biography. The 2-minute spot shows how the product, which we created for a client, provides instant illumination whenever the lights go out. The Fuel helmet line, for which we created innovative packaging, has raced into new territory! The helmets in Davison packaging are headed for the shelves of Canadian Tire, Canada’s largest general merchandise retailer. Fuel edged out a major competitor last year to take over the business in Walmart, thanks to Davison packaging. Shoe Tubes, one of the first products we designed for Honey Can Do, launches into the marketplace in Sky Mall! The collapsible, versatile and stackable unit organizes and stores three pairs of footwear. It’s a great example of adding a new twist to an old product to make it unique and attractive to buyers and consumers. 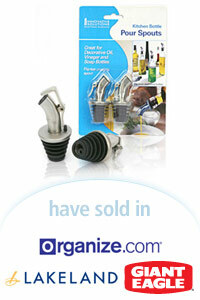 The Compact Kitchen Shopping Organizer, which we created for a client, sells out during its marketplace debut on QVC! The item keeps three lists handy at one time for multiple store lists, “to-do” lists, or for keeping track of projects. It is featured during the popular “In the Kitchen” with David segment on the popular shopping network. Silicone Dessert Bar Pan, another client product, is picked up by Bed Bath & Beyond and it continues to sell very well at other retail outlets. Versions of the pan for holiday-themed treats are also in the works for next year! Davison products and packaging solutions have now sold in more than 700 stores! Newer and older Davison designs continue to be picked up by specialized niche market online sites, as well as established retailers. The ever-popular Meatball Baker is picked up by another big name – the Better Homes & Gardens store! Bed, Bath & Beyond, the #1 superstore domestics retailer, picks up three Davison-designed Hugs Pet Products – Pugz Shoes, Cool Cot and Auto Pet Dish – for a test in select stores. All three have been developed for our clients through Davison’s collaboration with the corporation; they are the first Hugs products to hit BB&B’s shelves. Michaels, the largest arts and crafts retail chain in the world, adds the Party Traveler to its shelves in many of its brick-and-mortar stores. The product, which debuted as a Today’s Special Value item on QVC, is the first Davison-designed product to sell in Michael’s – but likely will not be the last! The Air Rack, an inflatable vehicle roof rack that we created for New Product Kingdom, is picked up for a test in the Home Hardware chain – Canada’s largest independent home improvement retailer! The heavy-duty inflatable roof rack, which provides an instant and lightweight rack to hold oversize loads, is the first we designed for the company to go to market. With the addition of so many retailers in recent months, our total store count climbs to over 600 – an astounding number that can’t be matched by anyone else in the industry! 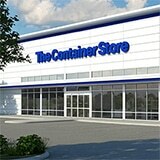 The new stores include major brick-and-mortar retailers, as well as online specialty stores. The Twirl-a-Ring, the first product we created for craft industry leader Darice, is on its way to Pat Catan’s and other independent craft stores. The product, which makes multiple sizes of jump rings for jewelry, is also headed for the Crafts & Hobby Association show. Founder and CEO George Davison is featured in a “corporate spotlight” in the July issue of American Executive, a magazine read by business executives from the entire range of U.S. industries. The article, titled “Creative Profits,” explains how the Davison Inventing Method works and why Mr. Davison is becoming known as “the Henry Ford of Inventing” for making new product development affordable for individuals, as well as corporations. George Davison is featured on Lifetime TV’s hit morning show “The Balancing Act!” In the groundbreaking interview, viewers hear the full story of new product development from three perspectives – the developer, the inventor, and the manufacturer. Mr. Davison, our inventor client, Sharon, and Katie, president of Hugs Pet Products, explain how the Davison Inventing Method gets new product ideas to the stores. The long-awaited Hydro Bone that we created for Hugs Pet Products hits the market, landing in Doctors Foster and Smith, the largest pet supply cataloger in the nation. 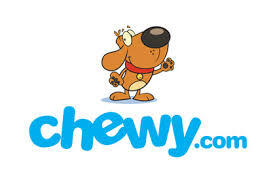 The innovative hydrating chew toy keeps dogs and puppies cool and content in hot weather. Dr. Fosters and Smith posts a cool video of the product on their website. The Summer Product Party and meeting is full of great news; in the last quarter 10 new Davison-designed products are on their way to the marketplace, and 5 new packaging solutions also have hit the market. The word is getting out about the “#1 Invention Destination in the World.” The Inventionland iPhone app is now live and available to millions of iPhone users. The app describes “the world’s most advanced creative facility” and enables users to go on a virtual tour with George Davison. Users also can submit an idea through the app, or view the Inventionland book, which comes alive through added vocals and sound effects. Four new ‘wellness’ products for which we created all the packaging, photography and in-use shots are now selling on Walmart.com. The Comfort Me Spa Sets and the Relaxzen 5-Motor Massage Mat with Heat are the first in a new line of more than 20 individual wellness items that we have worked on for Comfort Products, as we help the manufacturer branch out into other areas. The Silicone Dessert Bar Pan is now on the market! The innovative flexible bakeware, which remains cool to the touch, is featured in the latest issue of the popular catalog, “Get Organized,” as well as on Get Organized.com. QVC orders samples of the product for an airing on the nation’s most popular home shopping network later in the year, and the product is also headed to the store shelves of 700 Kitchen Collections and Hobby Lobby stores! Factory samples of household and automotive aftermarket products developed by Davison receive good feedback at the 2010 National Hardware Show. The products, licensed by Metro Design, are very well received when presented to corporate buyers. While at the show, our Licensing Team also strengthens and builds relationships with dozens of corporations and strategic partners in the manufacturing industry. Numerous retail outlets have added Davison designs to their inventory, bringing our total store count above an astounding 500 retailers that have sold Davison-designed products and packaging solutions! Davison’s “Find the ‘D’ and You Could Win Money!” giveaway is launched to celebrate the milestone. To reward our fans, people who submit photos of themselves in the stores with one of our products are entered into a monthly drawing to win a $500 gift card to the store of their choice that carries Davison products and packaging! One of the most exciting new lines at The Global Pet Expo was Hugs Pet Products. The more than 30 products in the Hugs booth all carried the Davison “D” and were “very well received,” said Davison’s VP of Licensing. The pet industry’s largest annual trade show was a wonderful venue to introduce the company’s new brand, which we created to give the product a higher end look. The Petite Press mini iron, for which Davison created innovative packaging, is featured in the June issue of American Patchwork & Quilting magazine, that hit the newsstands in April. The mini iron, which “packs a lot of heat for its size,” is featured under “favorite finds” in the Better Homes and Gardens publication, which is read by more than 300,000 sewing and quilting enthusiasts. Davison founder George Davison’s new coffee table book about our factory is for sale on Amazon! “The World’s First Inventionland” showcases Davison’s unique and creative environment and is designed to inspire creativity. Mr. Davison is inspired by the responses of readers: The book includes a 4 1/2-foot-long four-page centerfold that gives a panoramic view of the creative design facility. The Meatball Baker and the Party on the Go that we created for our clients, Jean and Joy, are featured in the Mother’s Day Kitchen Gift Guide on “Once a Month Mom,” a popular website full of tips for busy moms. The site gave our products great reviews, and gave away the Meatball Baker in its Mother’s Day Kitchen Gift Guide giveaway. AutoZone, the nation’s leading retailer of automotive replacement parts and accessories, added several packaging products that we created for Comfort Products’ Relaxzen brand to its shelves. Our design with the blue color scheme and checkerboard is now the standard Relaxzen automotive brand look. Davison products and packaging got great reviews at the 2010 International Housewares Show. Counting finished product samples and products that are on their way or are already on the market, there were well over 50 samples at the show carrying the Davison name, including a new line of wellness products. 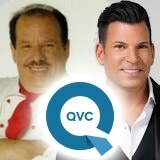 Six products that debuted at the show also are headed for QVC! The Better Bobbin, a motorized sewing product we developed for a client, was featured as a “versatile bobbin winder” in a slideshow of “must-have quilting and sewing notions” on AllPeopleQuilt.com, the website of American Patchwork & Quilting magazine. The Better Homes and Gardens publication is read by more than 300,000 quilting and sewing enthusiasts. George Davison, founder and CEO, is featured in “Edison’s Concrete Piano,” a new book about celebrated innovators of historic and modern times. The book features “tales of independent inventors and their struggles.” A chapter devoted to Mr. Davison explores some of his successes and challenges, as well as his greatest invention – the methodology that makes inventing affordable to the everyday person. The Davison “D” made its mark at the Craft & Hobby Association show, with 10 Davison products in the booths. Buyer feedback was great on products we designed for Prym that have been selling in Jo-Ann’s, as well as two new ones to hit the retailer’s shelves — the Quilt ‘n Go and Travel Folding Stitcher’s Tool. Ten new Comfort Products cushion items for which we created the packaging, landed in Walmart. The 10 items, which include massaging and orthopedic car seat cushions, completed the line of 11 Relaxzen seat cushions that replaced those of a competitor on the megastore’s shelves. The Helping Hands line of nine car cleaning items we created for Faucet Queen hit the marketplace. Several of the innovative products were slated for Pep Boys, and Walgreen’s placed an order for the Interior Detail Tool. All the innovative tools were featured on the homepage of Faucet Queen’s website. Three Davison-designed products — Meatball Baker, Party on the Go and Perfect Slice were featured in the Winter 2009 edition of “Innovation,” the quarterly design publication of the Industrial Designers Society of America. The products, two of which we developed for clients, were displayed on a full-page spread — right up there with G.E., Bunn, Bosch, Oreck and Pyrex! Our innovative RV Leveler was in the news again – this time as a featured new RV product in the January 2010 issue of Family Motor Coach Association magazine. With approximately 103,000 active member families, FMCA is the world’s largest motorhome owners group. The Pizza Keeper, which we designed for a client, hit the market in Fresh Finds, the source for “affordable kitchen and home solutions.” The product, which stores leftover pizza compactly in the refrigerator, also got picked up by QVC for its 2010 schedule. Six more candle products in the Bella Grace line, for which we created the packaging, went to market. The products (13 in all) are selling in outlet stores owned by Variety Wholesalers, which has more than 200 stores throughout the South. In March, our client’s Meatball Baker sold out during its QVC debut from the International Housewares Show. The product also sold out in subsequent airings and earned a Customer Top Rating on QVC.com. In June, our client’s Party on the Go food travel caddy had a big marketplace debut as a “Today’s Special Value” item on QVC. More than 70 news agencies picked up the story of our client and her product. In June, the American Pediatric Medical Association (APMA) approved Tru-Ice for its Seal of Acceptance. TRU-ICE, which we developed for Health Enterprises, provides complete ice massage therapy in one third the time of ice bags. In July, the number of stores that have sold our products and packaging exceeded 400! We added numerous retail outlets selling Davison products and packaging and also saw more products in big name retailers, such as Kohl’s, Walgreens, Sears and Target. In September, four innovative sewing products we developed for Prym went into Jo-Ann Stores nationwide — the Better Bobbin, Petite Press, Quick Cut and Travel Folding Stitcher’s Tools. Pet products we developed for clients also were picked up by SkyMall and many other retailers. In October, the RV Leveler that we developed for CIPA was the featured “New Product” of the month in RV News, “the voice of the RV industry” Subsequently, the product also was featured by RV Daily Report and several other media outlets. In November, the first in a line of 11 Comfort Products seat cushions for which we designed the packaging went to Walmart, which placed a large order for the Christmas season. Our design team created packaging that enables consumers to immediately understand what the product does through the use of icons combined with graphics to convey the unique features of each product. In 2009, Davison celebrates its 20th year in business! The anniversary marks an important milestone in the growing company’s history. In April, Davison designed creative packaging solutions for Comfort Products’ line of “Fuel” helmets. The package enables consumers to try on a helmet without taking it out of the box. The helmet line has replaced its largest competitor in WalMart. In August, Davison’s 360 Wrist Therapy Brace received an honorable mention in the new products category of I.D. Magazine’s 54th Annual Design Review. Judges proclaimed the product was a “great idea” and easy to put on with one hand. In the summer of 2007, Davison’s Jack ‘N Stand received an honorable mention in the concept design category of I.D. Magazine’s 53rd Annual Design Review. The Jack ‘N Stand is an innovative automobile jack that simplifies the car-lifting process. In June, Davison designers won two Industrial Design Excellence Awards from BusinessWeek and the Industrial Designers Society of America. The innovative Hover Creeper garnered a silver in the design explorations category, while a client product the BikeBoard won a bronze in the consumer products category. More than 200 Davison employees celebrated Halloween uniquely in our factory. It was a party celebrating the year’s successes and the upcoming opening of the world’s most innovative workspace. On Nov. 8, Inventionland premiered with a celebration of creativity. Hundreds poured in to explore the space and experience what Inventionmen experience every day. Once again we need more space to grow and expand. Davison acquires 76,000 square foot facility in 585 Alpha Drive, next door. Davison moves the Design Department into 585 Alpha. Davison employees are invited to spend a holiday evening in Inventionland™. It is a halfway point of construction. Davison continues to license new products in record volume. Davison completes design work for The BikeBoard and our client John, from California, is granted $100,000 in upfront royalties plus a percentage of net sales. Mr. Davison meets President George W. Bush. The Whistle Knife is granted a U.S. Patent. Mr. Davison takes his entire company to Greenfield Village and Henry Ford Museum in Detroit, MI to experience the history of inventors like Thomas Edison, John Heinz, George Washington Carver, and many more. It was an inspirational journey. February 2001 was another developing moment for our company. After several years of operating in different facilities, we united the company into one building by moving into one location at 595 Alpha Drive in one of Pittsburgh’s premier research, design, and industrial parks. This 36,000 square foot facility is still home of Davison’s corporate, sales, and Administrative headquarters. By 1999 , Mr. Davison succeeded in further development of his invention method as it became the world’s first affordable way to invent. The affordable method would forever change how product ideas become actual products. Davison Design again expanded its design facility, moving from the Corlin Building to offices on Dark Hollow Road in Verona, Pa.
After several years of refining the invention method, Davison Design & Development registered a trademark to describe our exclusive inventing process on May 13, 1997. The method is now referred to as The Davison® Inventing Method. Davison won a bronze Industrial Design Excellence Award for the design of the Oil Filter Gripper from the Industrial Design Society of America. The award was featured in the July issue of BusinessWeek and the fall issue of Innovation Magazine. Also that year, work began on the Personal Air Freshener for a Florida client, Curtis. Davison’s design division moved from the 8th Street office in Oakmont to the bottom and first floor of the Corlin Building in Indianola, Pa. This move expanded the research and design division, and also made more room for administrative and new product directors back at the 8th Street home. In 1993, the Oil Filter Gripper began to take shape. Our clients, Myles and Lisa, hired us to research, redesign and develop this product, which was licensed to Flo-Tools. Two major achievements in Davison’s history happened this year: The Cole Yard Marker and the Goggleflauge, CEO Mr. Davison’s product, were both licensed. The Goggleflauge was also on its way for manufacturing. Meanwhile, the exclusive process was taking shape. The 8th Street office in Oakmont was Davison Design’s first home from 1989-2001. Many good memories including making molds, working with customers and trying to develop a process that would let the company grow occurred here. The first davison designer starts work on a client’s product idea. Between 1986-1988, Before Davison Design began, founder Mr. Davison was himself an independent inventor pursuing a dream — the Toothbrush Sanitizer. Unfortunately, that dream never saw the light of day; it was beaten to the market by a major corporation.